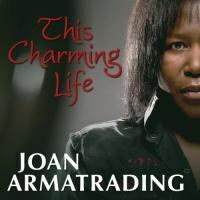 This Charming Life brings all of Joan Armatrading's talents into sharp focus. The subtext of This Charming Life is Joan Armatrading's autonomy, and her creative freedom to record however, whatever, and whenever she pleases. This Charming Life is a modest improvement over the relative disappointment and head-scratching premise and execution of 2007's Into the Blues. This time, Armatrading isn't burdened by the weight of carrying a theme through the whole album. Instead, she's released a musical statement that brings all of her talents--writing, playing, producing, and maximizing the idiosyncrasies of her malleable voice--into sharp focus. However, for those unfamiliar with the artist's oeuvre, This Charming Life might best be appreciated after digging through Armatrading's earlier discography to experience the full evolution of her sound. Her 2003 album Lover's Speak remains the very best of her albums from the past decade. On its own merits, This Charming Life is a mostly solid effort. The set is bolstered by the melodic rock of "Two Tears", the shifting musical environs on "People Who Win", and Armatrading's masterful guitar work on "Virtual Reality" and "Best Dress On". This Charming Life will inevitably find fans from within the artist's devoted audience, but there is enough good material here to also satisfy the most curious of new listeners.